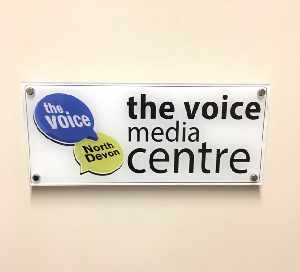 So you knew that we had really trendy, state of the art broadcasting studios here in the centre of Barnstaple, but did you know that we also have a really trendy, state of the art media centre complete with a variety of meeting rooms available for hire? Well now you do. The meeting rooms come in a range of sizes complete with a wide range of facilities, including projector screens, kitchen, tables, chairs and more! We also have a media team who are on hand to advise you on how best to promote your event. For more details, please call: 01271 555106 or email info@thevoicefm.co.uk we'd love to hear from you.